I love Mexican, Chinese, and Japanese food. I can eat a whole watermelon by myself, and I love crunchy grapes and Asian pears. Hmmm, I really like food. What foods do you really hate? Anything super greasy or covered in too much sauce. Who is the one person you can talk to about almost anything? Malivia, B. Rose, HB and LS. My friends and I speak in code. If you are in a bad mood, do you prefer to be left alone or to have someone cheer you up? Mostly leave me alone, but on rare occasions I can handle some cheering. Confidence and happiness are contagious, so spread them whenever you can. Nothing is usually really as it seems. Definitely more spiritual. I’m in a place in my life where I am exploring religion more and trying to learn from the people close to me. For now, I have my own way of feeling connected and it works for me. Both! I think that I have definitely changed as I’ve gotten older and become more of an introvert. I always have needed alone time and preferred to live alone and do certain things by myself. It’s been a challenge for me since having kids because I don’t have that time and have not been very good at making it for myself. I think I am much more extroverted when I have plenty of time to be introverted. If that makes sense...? I’d have to agree with Malea….right now! Right after high school I had some serious “growing” pains. I not only made some bad decisions, but I also hurt some people who were really close to me. I look back on that time and think “What the heck?” But I know that it’s really played an important role in making me who I am today. So even though I want to forget about it, I can’t say I regret it. NO! Well, maybe... Honestly, I always wanted to be successful, the top of my agency, and have a ton of pride in my work. As the CEO of my household I guess I kind of am doing what I always wanted to do. Honestly, having a clean house. When things are messy and chaotic, my life feels out of control and I can’t do anything else. I like making lists and checking things off. When I have too many things to do and they feel overwhelming, I will break a larger task into smaller tasks. For example, if I need to clean the kitchen and it’s a disaster, I will break it into smaller tasks. Empty the dishwasher, load the dishwasher, wipe the counters, clean out the fridge, etc. Before I know it, the entire larger task is done, but it didn’t seem so overwhelming by breaking it down into smaller chunks. At this time in my life, my ideal weekend would be a full day of dirt biking with my family, relaxing in my clean house, and spending time BBQing in our backyard! I think that I appear like I have things figured out. I don’t. I am constantly struggling and I live by the motto “fake it until you make it.” I am a dreamer and not so good at the “doing” part. 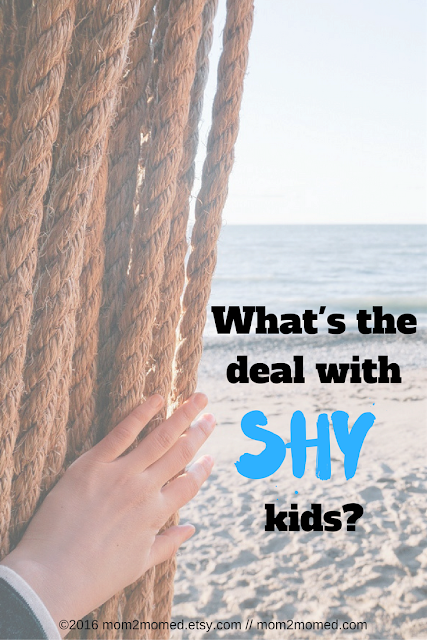 I’m super outgoing and painfully shy at the same time--it depends on my mood. Get more organized, learn to meditate, and take time for myself. Complete some house projects that I’ve been wanting to do. Focus on some long term career goals (which center around Mom2MomEd). What is your favorite post on the Mom2MomEd blog? THIS post my husband wrote. It sums up our life this past year and I love reading how he perceives the same situation. Check it out to find out more! 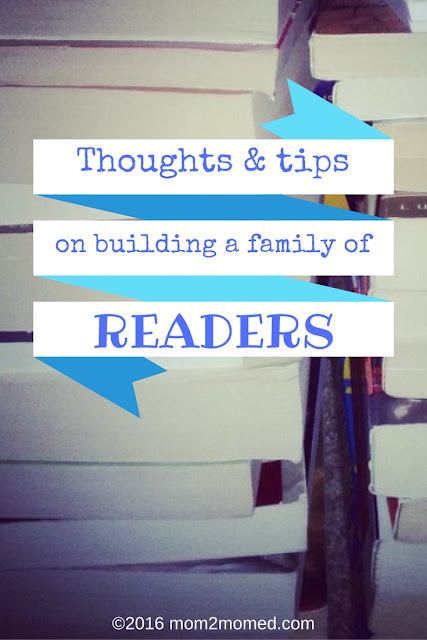 Malea has shared some amazing ways to encourage your children to read. You can read them HERE and HERE. It really made me sit and think about ways that my husband and I model “reading” to our kids. Since both of my kids are pre-readers (they are 5 and 3) they obviously depend on having someone to read to them. After thinking about it, they are really the ones that drive the reading now. My son is now asking me to read him street signs, packages, and pretty much anything that we come across. My daughter is really into dictating lists, notes or letters and then has me read them back to her while she points at the words. We are so lucky and excited that both of our kids are into books and reading, but how did that happen? We would lay in bed and read at night, in the mornings or whenever. We loved talking about what we were reading and sharing books and comparing notes. But then we had kids and both of us pretty much stopped reading. We were distracted, had a million other things to do, and, quite frankly, when I had some down time I wanted to sleep! My point is, neither one of us were modeling the behavior to our children by reading ourselves. What we did do is read to them from day 1. You read that right….day 1. As a new parent, I had some things that were really important to me like family dinners and a love of reading. (You can read about how I included my newborn in family dinners HERE). I vividly remember my husband and I holding our brand new baby and reading to him. Early on, we established a bedtime routine and would go into his room and rock him and read to him. We’d always do it together and we’d always hold the book up to show him the pictures. Looking back, some of that is silly….but, it was really important to us and who knows how much that has played a role in his love for reading. When my daughter came along it was a little less silly since we were already reading to a toddler. It only made sense that she would lay there and enjoy a book with us. I also have always taken my kids to the library, even when they were babies. I love the library. I loved going when I was a kid and I still love it now. It was so fun to bring a stack of new books home. I loved the smell of the library and it just has positive memories for me. Of course, I want my kids to have the same! We’ve done library storytimes with our kids too, but not consistently. We really spend most of our time walking up and down the aisles and picking random books to bring home. Occasionally, we will go looking for something specific (my son knows where the dinosaur section is), but most of the time we’re not looking for anything in particular. Another thing that we’ve never done is use reading a book as a reward or a punishment. Meaning, we’ve never taken away stories at bedtime or used them as bribes to get something done. 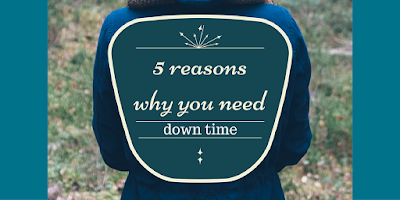 It’s just part of our life, our routine, and it’s not really open for discussion. I’ve always rotated our books out and packed away holiday books so they feel new! I am a thrift store junkie and one of the top items I always look for is books. They are usually super cheap and you can buy a variety for just a few dollars. One particular thrift shop in my area sells little grab bags of books and those are always super fun to sort through. I periodically buy new books, pack up or donate old ones, and try to keep the selection at home fresh and interesting. We have our favorites that we read repeatedly, but mostly my kids seem to enjoy variety. Also, for every holiday (especially Christmas) I have books that we love to read. I get them out every year with our decorations and then pack them up at the end of the season. My kids are always so excited to get those books out and to read them again. I think that because they are only out for such a short window they never really lose their luster. We read them over and over because we know we don’t have them for long and it’s really a fun part of our holiday traditions. So far I have Christmas, Halloween, and Easter covered. I am always on the look out for holiday books at thrift stores too. These are just a few of the ways that we encourage reading at my house with two pre-readers. As they get older and are able to read to themselves maybe we won’t always lay on my bed at night and read. All I know is that I’m glad that we decided that it was important to us to read to our newborns and set the tone for reading early on. What are some ways that you encourage reading in your children if they aren’t old enough to read themselves? When do you incorporate reading into your day? Is it a consistent time or whenever it fits? First of all, did you know that simply having books at home can be a fairly good predictor for whether or not children will be readers later in life? Simply exposing children to books at home goes a long way! If you don't have books at home, or have only a very limited selection, do what McKenzie does and hit up thrift shops to find kid-appropriate books. Pick up a few books for yourself too. Secondly, there is a huge drive in the United States to push reading at earlier and earlier ages. In fact, I am receiving more requests than ever for reading tutoring and instruction for toddlers. Tutoring for two year olds. Here's the issue though...new research is emerging (building on prior research with similar conclusions) that pushing reading skills early can actually backfire and result in WORSE long-term reading skills and habits. While we really want you to expose your children to books and great literature, we don't necessarily want you to force learning reading skills before your child is truly ready or WANTS to read or has NEED to read or before their school really requires it. Let them LOOK at books and MAKE UP their own stories if they aren't reading. Point out pictures in books as you read TO your kids and ask them what they think is happening based on the context clues in the pictures. Leave books on the kitchen table, in the bathroom, on or next to beds, and in the car. Have special books for special occasions. Have books that celebrate something unique about your kids or your culture or your religion and so on. Have book swaps with friends and their kids. Get fun accessories like bookmarks and bookbags to make reading feel exciting (we've linked to a few below). Give books and book related accessories as gifts. Let your kids enjoy books organically. And, let your kids BE KIDS. Feeling nervous about your kids' reading abilities or worried that they won't be ready for school if you don't start formal reading instruction at home? Not a family of readers and want to change that but don't know how? Get in touch and let's talk about how Mom2MomEd might help! Get in touch with the comment box in our website sidebar or send us an email HERE (please no sales pitches, spam, or offers of any kind and do NOT sell our email address under any circumstances....). Summer is winding down (schools seem to go back earlier every year in California) and I’m stuck in the middle of this personal tug of war that I just can’t shake. My son graduated preschool this past spring and is now entering the brave new world of kindergarten. You can read about my frustrations with enrollment HERE and my updated news HERE. Well even since my last post (my son ended up getting into a school that we thought we would be very happy with) we’ve had some even better news! Our son not only got into the California Montessori project, but he also got into our campus of choice! We once again have shifted gears and are now all settled into our new school plan and gearing up for a fun year. This time it’s because my little guy is off to kindergarten AND it’s a full day. That means the little person that I spend all of my time with won’t be here at home with me during the days. He’s my sidekick, my bud, my helper, my other set of eyes/ears/hands when my daughter is terrorizing the house. I can’t even put into words how much I’m going to miss Hank during the day. It’s definitely going to take some adjusting (mainly for me), but I know we will get into a new groove and this will just feel normal in no time. Here’s the tug of war…..
I’m ready to lose it! 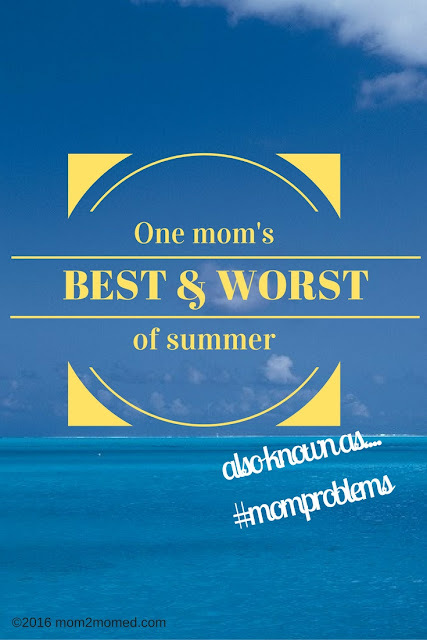 End of summer is here, my house is trashed, I’ve exhausted all of my Pinterest perfect mommy moments, and we’re heading into survival mode. I’ve sat down for an entire 2 seconds in the past three months and I’m tired. But, I feel guilty for feeling that way. I love being with my kids, but I also am ready to get some structure, some routine, some sanitation at my house. We all could use some space from each other too. The kids are starting to fight more, and quite frankly I’m not putting my best foot forward any longer. 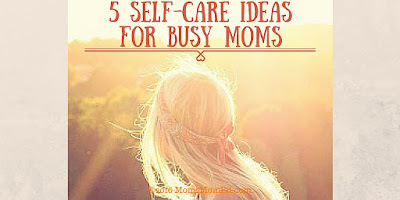 Why is it that mom’s always feel guilty for taking time for themselves or wishing they had some time to be alone? We should be doing that...I just need to keep reminding myself that this is a positive transition, he’s in our TOP school of choice, and he’s going to LOVE it! Since I’ve exhausted all of my creative ideas and crafts this summer, we’ve been cutting paper, making origami, chasing our chickens, urban hiking, making homemade pizza, having at home treasure hunts and making treasure maps. My kids have had the best week and have had so much fun! Neither one of them know that I’ve been barely holding it together, don’t have any energy to entertain them, and am on the edge because our house has been literally trashed. They just know that we’re all together, having fun, and laughing. I’ve also had some good reminders this week to slow down and take it all in. My son informed me this week that I’ve only ever played with him ONE time and that was the only time I stopped cleaning. My daughter told me I used a “mean” voice and it scared her dolls. And, I snapped at my husband too many times. I’m sure there are plenty more offenses, but I’d like to keep my pride somewhat intact. 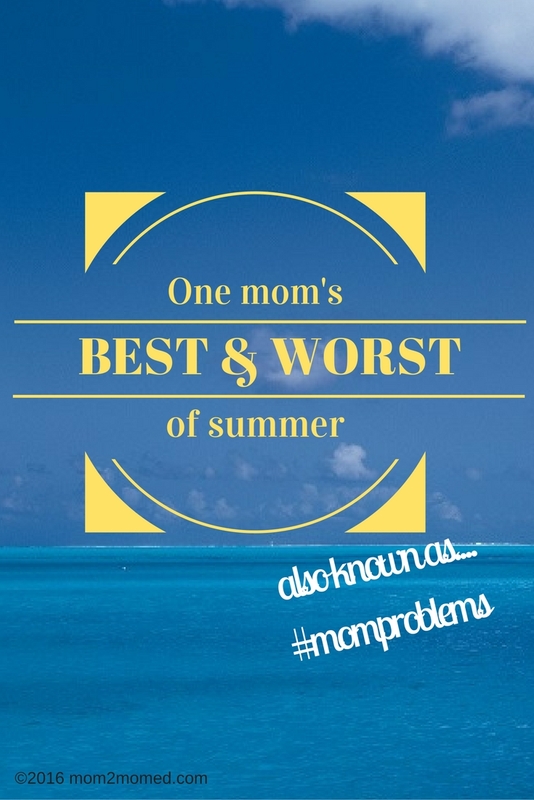 I can’t be the only parent going through the end of summer blues (I just made that up, but it’s really a thing). Part of me is sad that summer is ending and the other part of me is happy that we get to have a new adventure as a family. I've enjoyed every phase my kids have had. I always say that I think it just keeps getting better...and it does! I’m sure this is one of those phases that will get better too, and once we adjust and adapt it, will feel like it’s always been that way. Change is scary and I’m not particularly good with it. I’m going to put my best brave face on though and walk through this next door and greet it with a smile. Besides I’m going to need to rest up for next summer! Have you noticed that we haven't been as active on our blog or social media as usual? McKenzie's au pair job went nuts. My TWO jobs have been nuts. McKenzie's husband's job has been nuts. I messed up my right and ankle and foot. In essence, things have been bumpy at both of our houses for a couple of weeks and something had to give. Unfortunately, that something had to temporarily be Mom2MomEd. 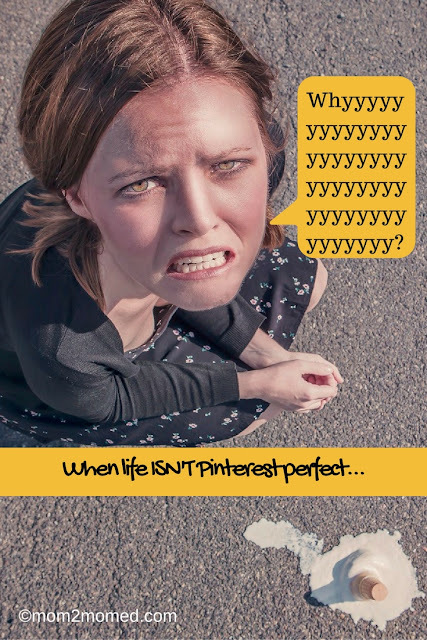 We wish we could say we have it all together all of the time, that our lives are Pinterest perfect, that we haven't a single worry in the world, but yeah, then our lives would be, um, weird...? McKenzie and I talked yesterday afternoon about the state of our lives and our goals for Mom2MomEd, and we both agreed that had we not taken a step back, and instead had plowed through, we might have lost our Mom2MomEd motivation. We agreed that we had to straighten out other priorities in order to keep our excitement and commitment to Mom2MomEd. Right now, we both are at our max in what we have to give to others and to ourselves. Laundry isn't getting folded and put away. Breakfast is eaten on the go. Coffee is set down and forgotten...and then found later and pour down our throats cold and in a rush. Our cars are gross inside. Our hair is a mess--mine is just short of starting to resemble dreadlocks! We kinda feel like we are just hanging on and our routines have fallen apart. It just happened that this particular month, we were both in this rut at the same time. Until this month, when one of us was down or struggling, the other was able to take over and keep things going with Mom2MomEd. This time, we both were deep in the weeds in our lives! So, we haven't disappeared. We aren't quitting Mom2MomEd! We just need to take a temporary step back, push the sloooowwwww button, and regroup. and trying to just hang on! We do plan to eventually ramp back up to our original goals--and to grow from there--but we just have to get through this little hiccup first! Moms (and dads), we want you to know that when you feel like you don't have it all together and wish you did, you aren't alone! NONE OF US have it all together! NONE. OF. US! Be sure to check out our Etsy shop too! We've got classroom printables, organizer and planner sheets, lunchbox notes and more! We are taking a little departure today and doing a getting to know us post! 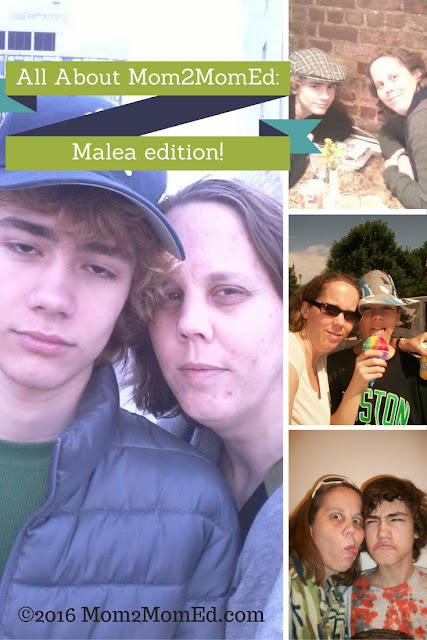 Today Malea is answering questions and next week it will be McKenzie’s turn! I love fresh strawberries, avocados, tomatoes, and salmon (but not all at once!). I like red, black, and all shades of grey. At this point, probably McKenzie! Also, my bestie since high school, Casandra. Be kind to others as much as possible because you really have no idea what they are going through. That doesn’t necessarily mean you have to let others walk all over you or that you should try to be 100% positive all the time—just that you should recognize that just as you have bad days, so do others. We’re all just doing the best that we can in life, right? I am more spiritual than religious, although I was raised going to Lutheran and Methodist churches. I don’t believe any religion is better than any other, and I don’t believe lack of religion is any better or worse than having a faith either. I’m a total introvert and often shy; however, I know a lot of people don’t believe me. I had to work hard to adapt to social situations or normal interactions at work and at school. I used to be extremely awkward and uncomfortable at work and school and around others. When I first started working in emergency medicine (my day job), I was so terrified and shy and inside my own head that I spent the first week thinking I might have to quit. I finally decided to simply choose a small task every single shift at work that I could work on it. I started with simply saying hello to everyone at work that intimidated me. Over time, it got easier. I am a lot more social and less awkward at work and school now, but I still am an introvert. I can appear outgoing, but I NEED time alone and totally by myself—lots of it—to recharge and feel fulfilled personally, professionally, and spiritually. I was severely depressed in high school, again in college, and again when I was with my son’s dad. It was most severe when I was with my son’s dad—he was an emotionally, mentally, and verbally abusive and there were times when I felt like I was going crazy. 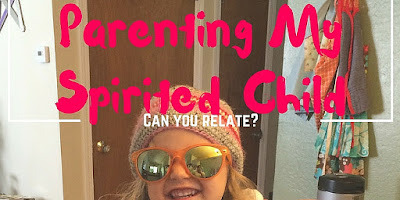 Being a mom is great, but it's not actually at all what I wanted to be when I grew up. I wanted to be an Emergency Medicine doctor from the age of four when I broke my leg. I still want to do that, but life has kind of knocked me around and off that path more than once. Now I work as a scribe in an emergency department and also as an admitting representative at another hospital. I do reverse to-do lists. When I feel overwhelmed or like I am getting nothing done, I actually start writing down things I get finished. Over the course of the day, I could potentially have a fairly long list and I have proof that I got stuff done. My ideal weekend is camping at Bodega Bay on the northern coast of California. I love how insulated it is from pretty much everything. It’s quiet, calm, and beautiful. I love to read in my tent or under the trees in a camp chair, walk on the beach, and just relax! That I found the courage and strength to leave my abuser and to take the steps necessary to protect my son from our abuser too. I can come off as cold or stand-off-ish when I first meet people. I am reserved when first meeting people and don’t smile often—even when I’m smiling and happy I can look like I’m not! What I AM doing is watching, listening, and assessing. It’s a vacation I haven’t taken yet—I want to travel all over Scandinavia. I’d love to make it a driving trip and to immerse myself in Scandinavian life. I’m already learning Swedish. Pay off as much debt as possible. Move out of my family member’s house and into an apartment or townhouse of our own. Spend time every other month visiting my mom and alternate months have her visit me. Continue to build Mom2MomEd with McKenzie. Um...usually all the things I don’t actually need to think about! I can make myself pretty stressed out because I tend to think about huge, existential issues about life, the universe, the nature of being. 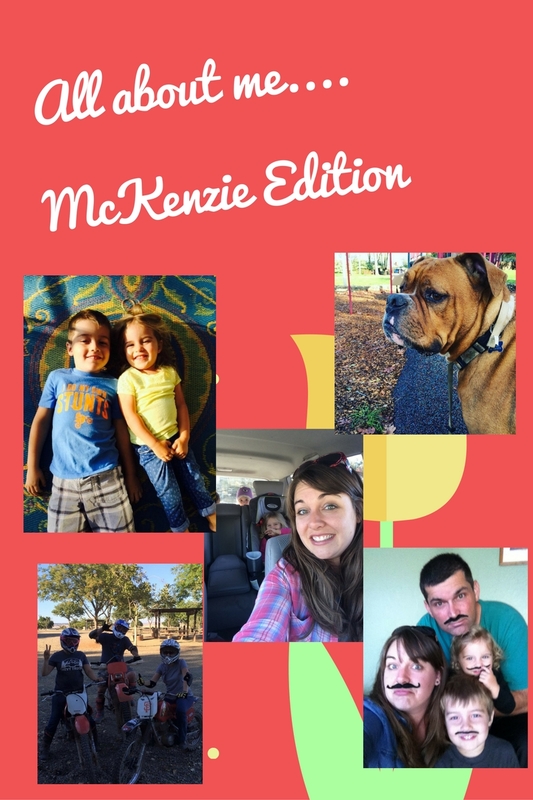 I LOVE THIS post from McKenzie--especially the bit about dish soap and toilet paper...read the post to find out what I'm talking about! Tune in next week for a post all about McKenzie! I can’t wait to read her answers! Check out our other About Us posts HERE!